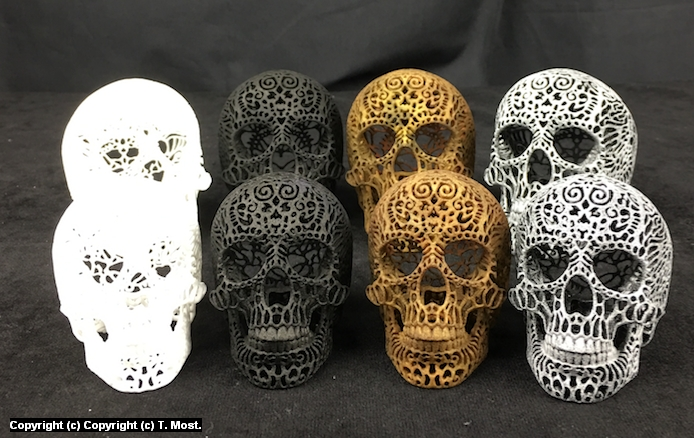 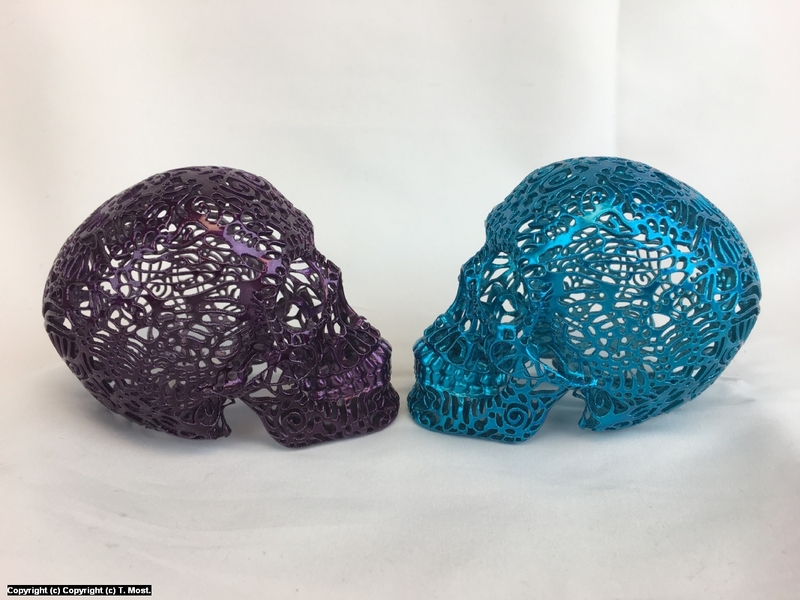 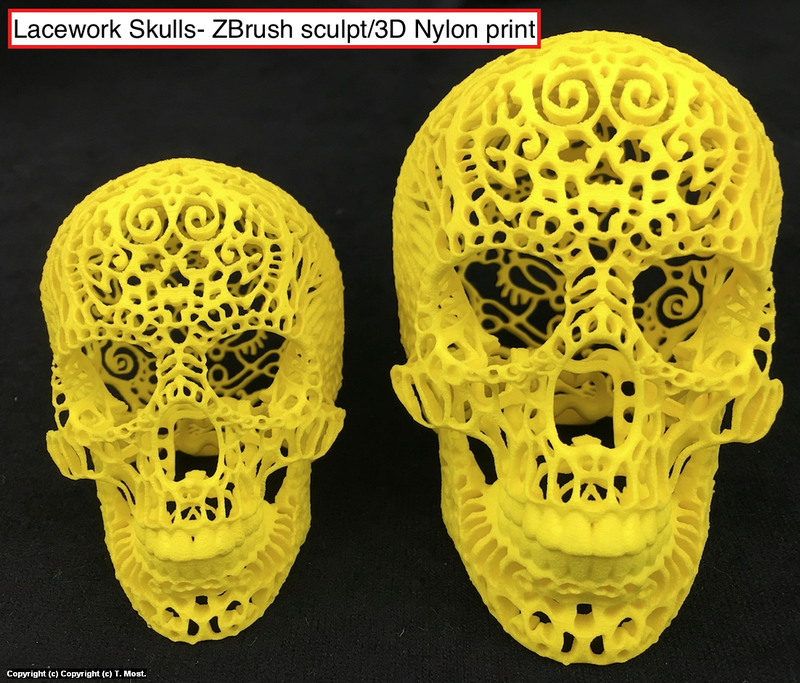 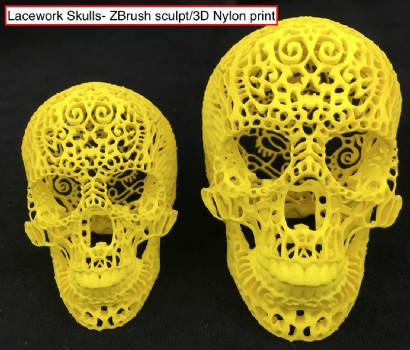 Original 3D printed lacework skulls I designed via Z Brush, printed in SLS nylon. Multiple sizes/colors are available. 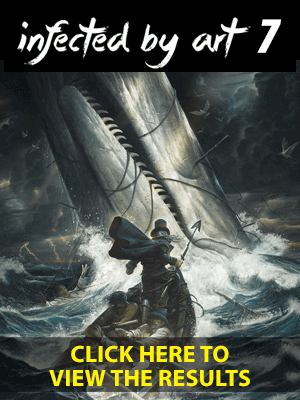 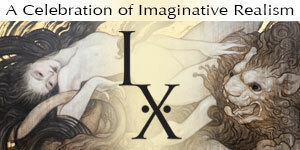 New designs coming.